A variety of Olympic pins. The shortage of officially-licensed Sochi 2014 pins in Olympic Park appears to be over. 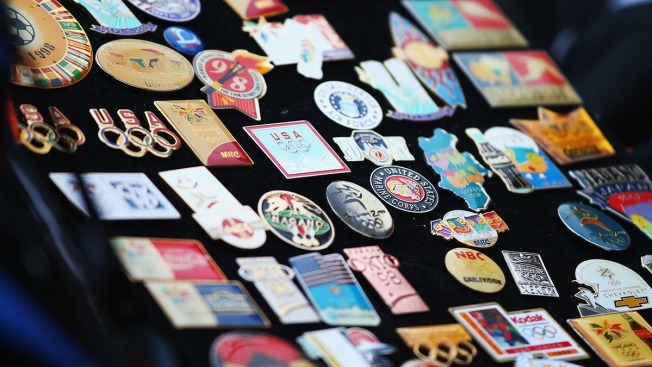 Volunteers, journalists and other guests in the main media center lined up Friday in a small souvenir store to browse through and buy the beloved mementos, which have become a tradition at each Olympic Games. The IOC and Sochi organizers promised action after getting multiple questions on the pins over the past few days. The Russian mint produced 1 million pins for the games, selling them in airports, stores and other places in Russia before they arrived in Olympic Park.